An Irresistible Weekend at Being Human Clothing. Make it worthwhile at your closest #BHStore. 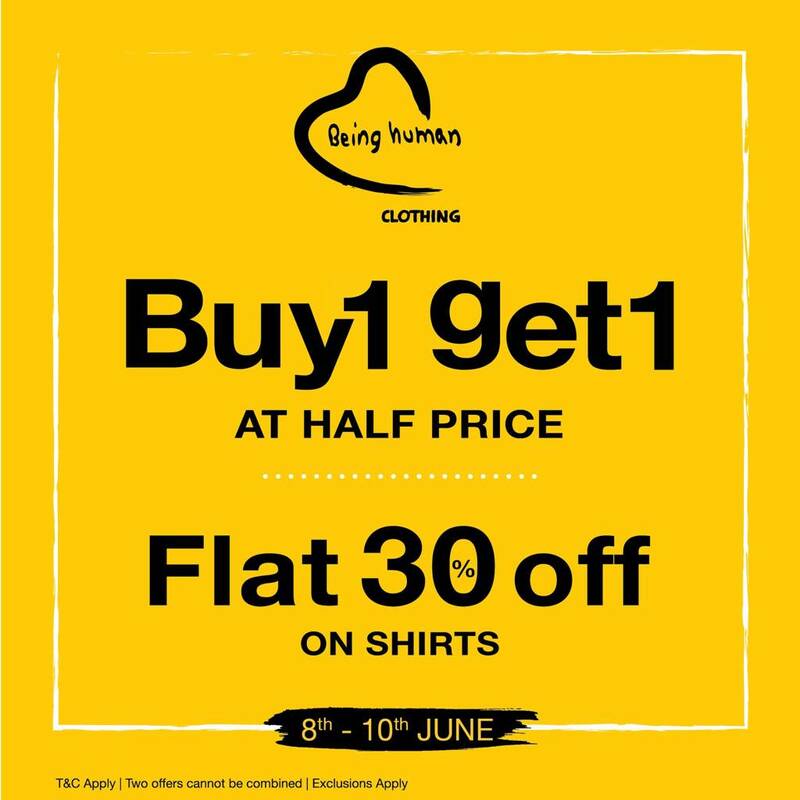 Buy 1 Get 1 at Half Price and Flat 30% off on Shirts at Being Human Clothing from 8th - 10th June 2018.